Marriage is a remarkable institution. Consider, for example, what it has accomplished for a certain international distance runner who resides in Smithville. 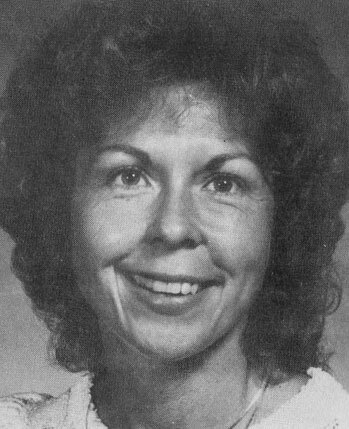 Before becoming the wife of Tom Buch, she was Jane Plank, an attractive little girl whose closest approach to athletics was being a majorette at Ashland College. Tom, her high school sweetheart, played the usual scholastic sports and won acclaim as a sprinter and hurdler. He knew little about distance running. However, when he was drafted as cross-country coach at Doylestown High School, he began to study the subject, and then run a little so that he could demonstrate the proper techniques to his charges. His running also carried the benefit of controlling his weight. Jane saw the results and decided to tag along, as best she could. “I could not jog 100 yards when I started,” Said Jane. “I was also 26 years old, which is an advanced age for any sport. On the other hand, maybe I avoided the wear and tear that younger athletes subject their bodies to. The more the Buchs ran, the better they became. They began reading about aerobics, techniques, and equipment and started running in some 10K races. In 1980, it suddenly dawned on them that Jane was making remarkable progress. Accordingly, they mapped out a master plan which included a year-round running schedule of 3,500 miles, weight training, proper diet, videotaping to detect and eliminate faulty techniques, and seeking outside help to realize every possible potential. The results were dramatic. In a short time, Jane who teaches home economics at Doylestown was cooking on all front burners and the after-burner as well. She picked up an extensive array of ribbons, medals, and plaques over a two-year span in all sorts of distance runs, from 10K up. In the fall of 1981, she graduated to the world-class level by finishing fourth against a strong field in the Bank One Marathon at Columbus. Her time was an impressive 2:41.44. The following year, she won the Bank One Marathon and repeated in 1983. Another big win, which brought national recognition, was the Rocket City Marathon at Huntsville, Alabama in 1982. She was one of a handful of top international runners who were invited to the 1981 Tokyo Women’s Open Marathon. The Japanese took the diminutive (5-1, and 96 pounds), Jane to their hearts. She finished seventh in a field of 51. Two years later, she was invited back, this time finishing 10th of 68. A signal accomplishment came a year ago in the big Grandma’s Marathon at Duluth. Jane’s time was 2:36.54, which easily qualified her for the Olympic Trials. She finished a respectable 21st of 238 starters in the latter, despite never being able to achieve top form during a grueling training period. At 35, Jane plans to continue her running career, with time out for a little fun along the way. One satisfaction that she and Tom share is the mileage that they have derived from their marriage. At an average of 70 miles per week, their record is hard to top.